Meet the Leyland Force 7V. Just 56 were built in 1974, but only 10 survived the scrapping when the company went bust. Due to the 4.4-liter V8 up front and five proper seats, that makes me a sad panda. This would have been great. 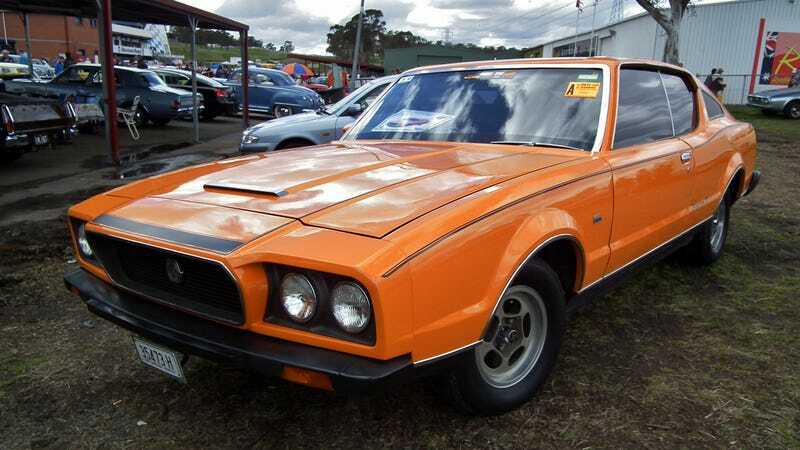 Leyland Australia wanted to create something cool after building 18,000 P76 sedans with 4.4 liter alloy V8s and McPherson strut suspension. For the fastback, there was to have been a base six-cylinder Force 7, a more powerful Force 7V with the V8, and a range-topping Tour de Force. How badass would a car called "Tour de Force" have been? Secret testing was well along its way in England when Leyland had to close down. Of the 56 finished factory coupes, eight were auctioned off after the gates closed, two ended up in museums, while the remaining 46 got destroyed. All the surviving cars are the “mid” range Force 7V models with the V8. It's so ugly, it's beautiful. And what a great name!